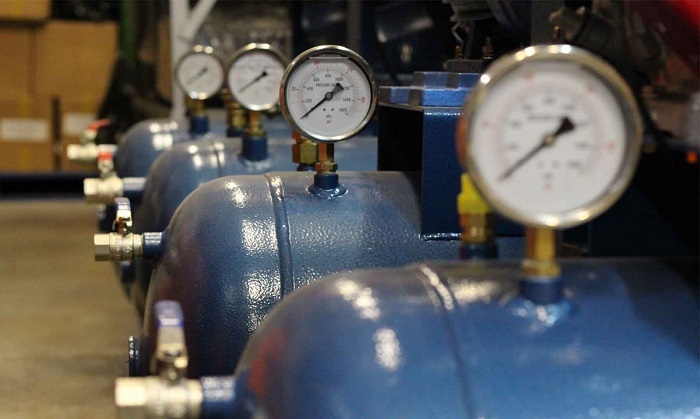 Invented some 100 years ago for powering machinery in factories, today air compressors are used almost everywhere – from large manufacturing plants to ordinary gas stations, from car repair shops to home workshops, basements and garages. They can inflate a tyre in a pinch, supply air to a spray gun, or be used to power tools such as nail guns. Without a doubt, an air compressor can be a useful addition to your tool arsenal, whether you are a professional repairman, or just take on a lot of DIY projects involving painting or power tools. If you’re on the lookout for a new air compressor, or are planning to replace your old one, here are the most important things you need to consider. The PSI and CFM ratings are the first things you focus your attention on when browsing through the wide range of air compressors. The PSI (pounds per square inch) measures the air pressure, while the CFM (cubic feet per minute) measures air volume and thus determines and how many tools you can run simultaneously. Each pneumatic tool has its own strict requirements regarding both pressure and volume. If you’re planning to use the air compressor for one single tool at a time, consider the needs of your most demanding tool. The PSI should be equal or greater than the one listed on the tool, while the CFM should be at least 1.5 greater than the CFM of the tool. For using multiple tools at the same time, you should consider the PSI and CFM numbers listed on your two most demanding tools. Choose an air compressor with a PSI that’s equal or greater than the sum of both tools, and a CFM that’s 1.25 times greater than the same sum. The size of the compressor’s tank will affect its maximum running time. The bigger the tank, the longer it can supply power without needing to be refilled. Generally, large tanks are used for tools that use ongoing air, while smaller tanks are convenient for powering tools intermittently. Air compressor manufacturers express the size of the tank in litres. Smaller portable air compressors usually have tanks with a capacity between 15 and 25 litres, which is just enough for powering less demanding tools such as paint guns and nailers. On the other hand larger tanks can hold anywhere from 200 to 750 litres. Before the air compressor can power tools, it needs to be powered itself. Air compressors can be powered by either electricity or gasoline. The electric compressors are powered by a current between 110-120 V, which is the standard household current. Because they don’t produce any fumes, electric compressors are the smarter pick for indoor use. Gas-powered compressors, on the other hand, are ideal for areas where there’s no electricity available, such as outdoor work sites and agricultural fields.